The American College of Radiology recently awarded the Tammy Walker Cancer Center Department of Radiation Oncology at Salina Regional Health Center a full three-year re-accreditation. Among physicians, ACR accreditation is recognized as the gold standard in medical imaging. Because of rigorous accreditation guidelines, few oncology practices in the state currently have the ACR gold seal distinction. Re-accreditation for Tammy Walker was awarded September 4 by the ACR Committee on Radiation Oncology Practice Accreditation following months of intensive review. 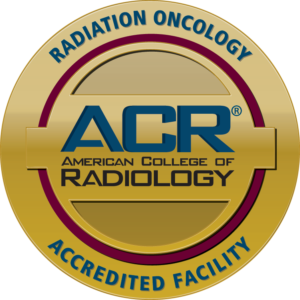 The ACR is the nation’s oldest and most widely accepted radiation oncology accrediting body. The ACR seal of accreditation represents the highest level of quality and patient safety. It is awarded only to facilities meeting specific Practice Guidelines and Technical Standards developed by ACR after a peer-review evaluation by board-certified radiation oncologists and medical physicists who are experts in the field. ACR Accreditation at Tammy Walker has added distinction with Dr. Perez-Tamayo being distinguished as one of only two ACR Fellows in the state of Kansas. ACR Fellowship is awarded to members of the College who have achieved significant accomplishments in scientific or clinical research in the field of radiology; made significant contributions to literature; and/or provided outstanding work as a teacher of radiology. Only 10 percent of American College of Radiology members have earned the honor. Dr. Yazan Abuodeh joined Tammy Walker a few months ago, after completing his radiation oncology training at the prestigious Moffitt Cancer Center in Tampa, FL. He said ACR accreditation affirms the highest quality of care across the country. 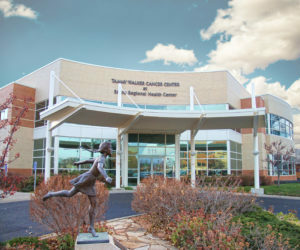 Tammy Walker Cancer Center Department of Radiation Oncology has been nationally accredited since 2009, originally with the American College of Radiation Oncology, and then three years ago with ACR. For more information about the ACR Practice Accreditation Program, click here.